When you produce anything in small batches, it is easy to customize. Our industrial designers and hardware engineers are used to making modifications. When you produce anything in small batches, it is easy to customize. Our industrial designers and hardware engineers are used to making modifications. 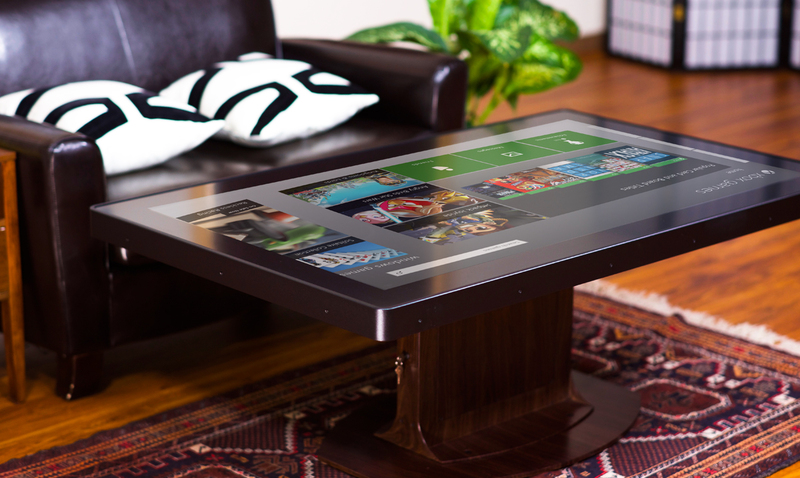 If you’ve followed the development of our multitouch tables and our touch walls, you know that we are continually revising and improving them, taking advantage of the latest technology, boosting performance, improving their looks, and making them tougher for public environments. 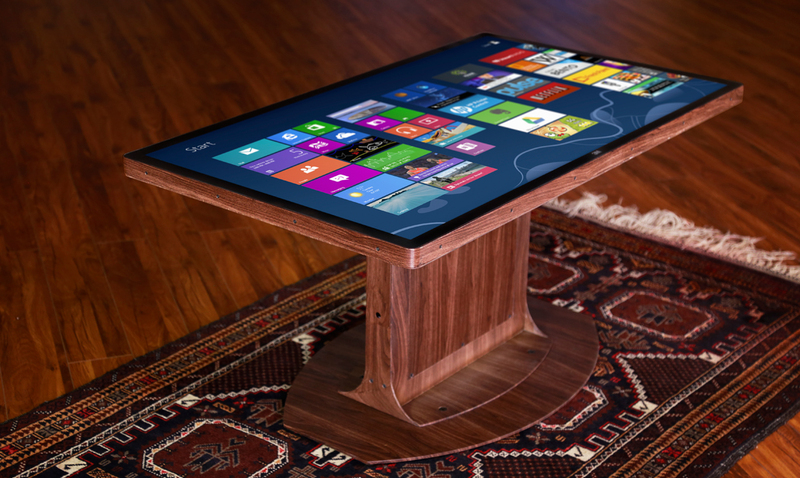 We take a similar approach to building custom tables and touch walls. We have gone big and small and have done everything from fairly simple modifications like custom colors to much more elaborate custom exhibits. Here are a few of the custom items we’ve developed. Not surprisingly at George Washington’s Mount Vernon, the aesthetic is decidedly colonial. 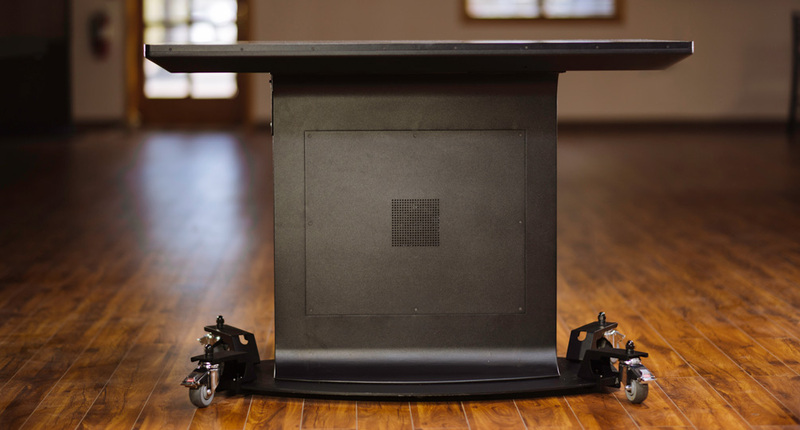 The modern look of our black powder-coated Platform was not going to fit in very well, so we went with a wood-grained look. This look is achieved through a process called hydro-dipping, in which a wood grain-like durable paint is applied directly to the aluminum. 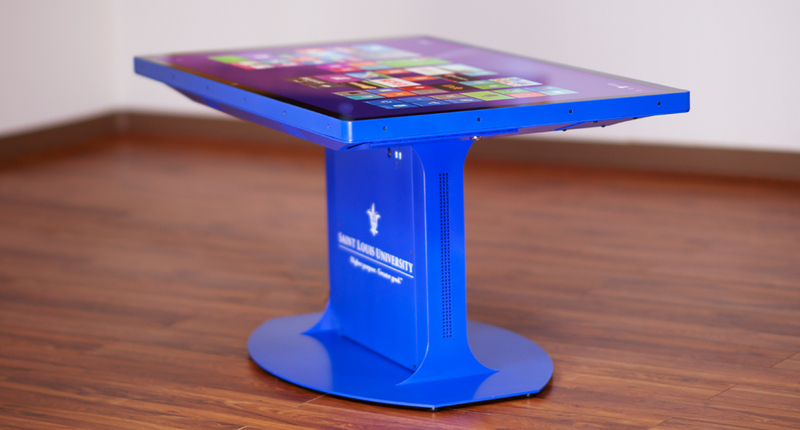 Choosing a custom color or texture is an easy way to make our touch tables and touch walls even more unique. All of our units have a durable powder coat finish. We can match just about any color and have produced dozens of custom colored units. 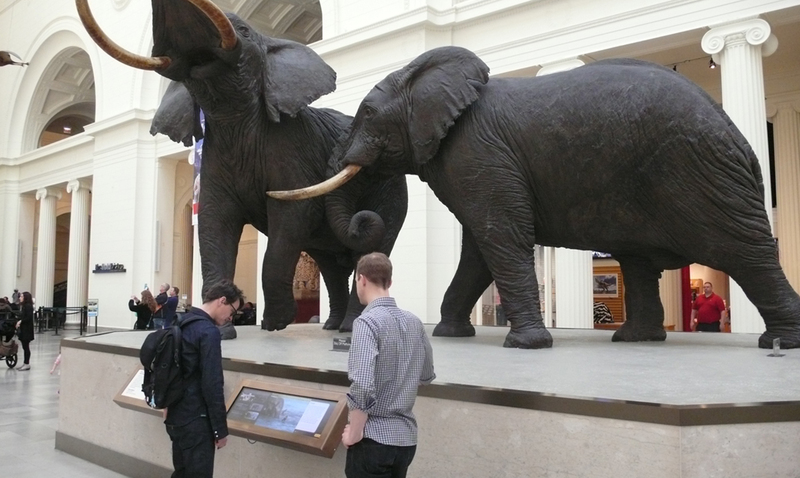 Last year, the renowned Field Museum in Chicago expressed interest in working with us to develop a digital replacement for many of the “reading rails” that appear throughout the museum. 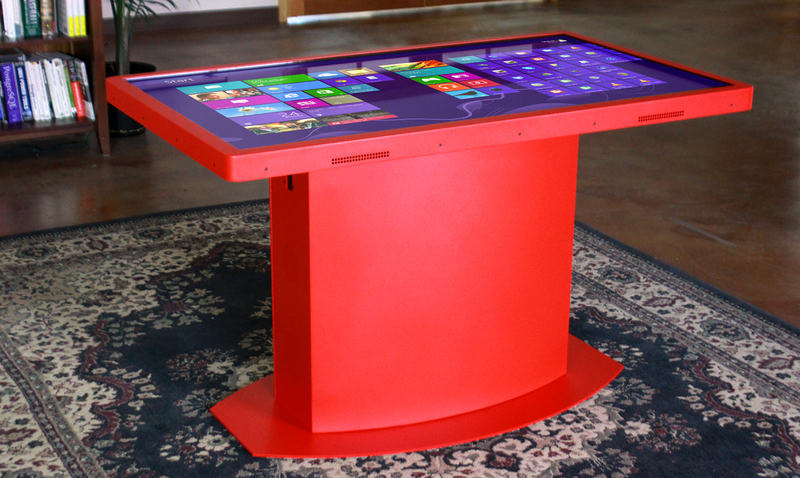 We integrated a custom-designed projected capacitive touch controller and designed a custom, hardened aluminum case. 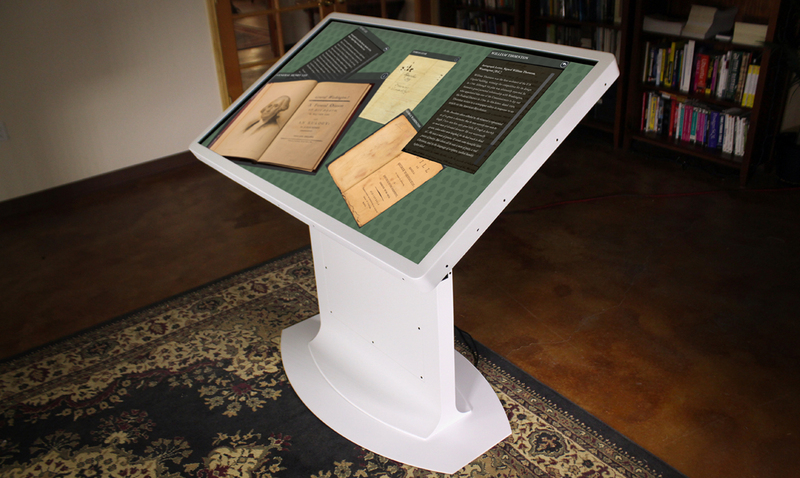 The custom stretch displays have a unique 16:5 aspect ratio, and support up to 20 simultaneous touch points. The Field Museum has 80 of these units throughout the museum. The two most ambitious custom projects we have taken on are on opposite coasts at very different institutions. Five years ago we developed a 7-foot, round multitouch wall for Monterey Bay Aquarium in California. 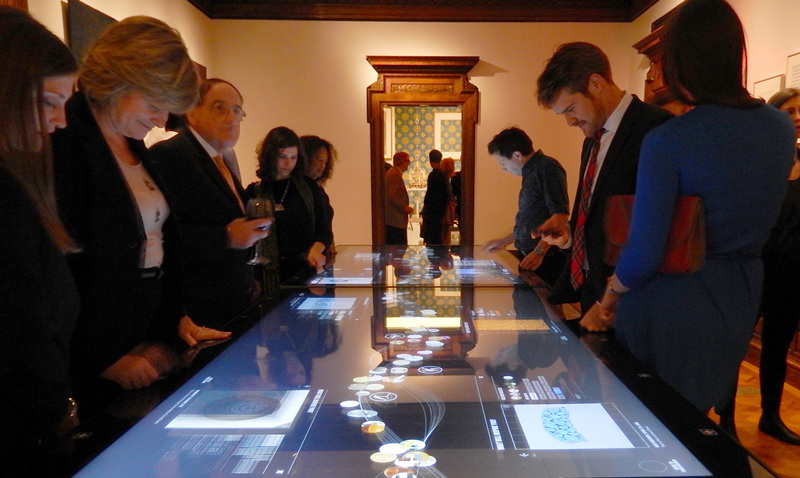 Just last December, we delivered 11 custom touch tables and touch walls for Cooper Hewitt Design Museum in New York City. Both of these projects were incredibly challenging and demonstrate our range of skills in working with a variety of different technologies and materials. You can learn more about the Monterey Bay project and the Cooper Hewitt Design museum project in our portfolio. Hydro-dipping creates an elegant wood-toned appearance. We can match nearly any color for a bold effect. 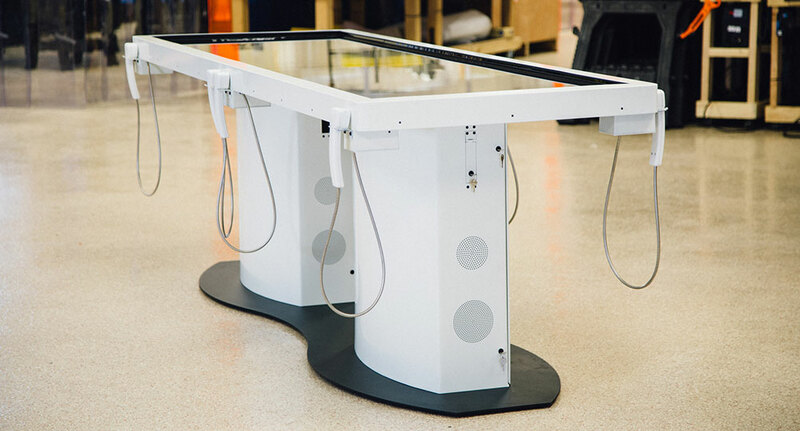 This Drafting Table's white finish sets it apart. The Field Museum's stretch displays have a classic look.